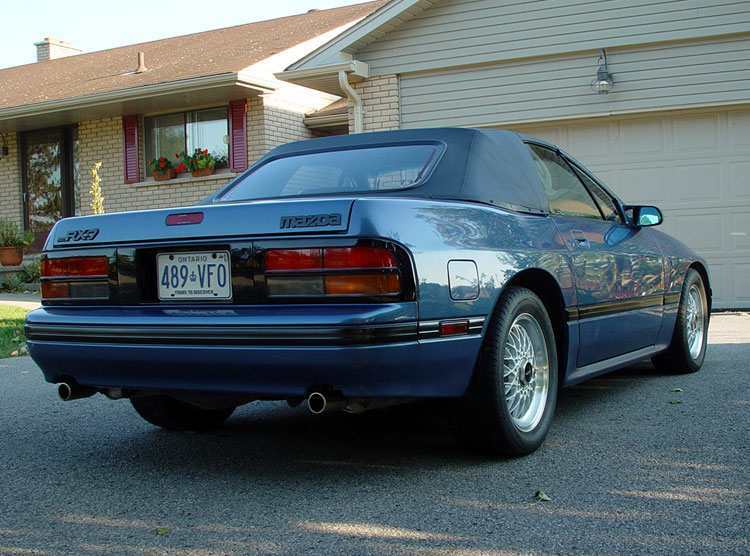 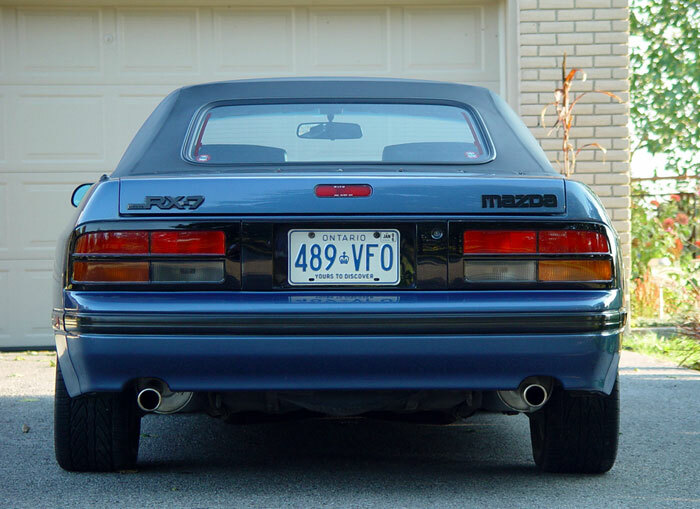 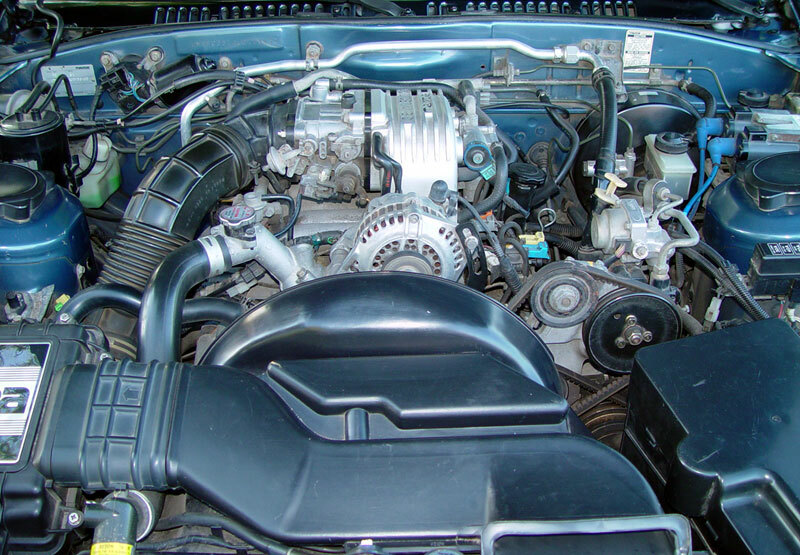 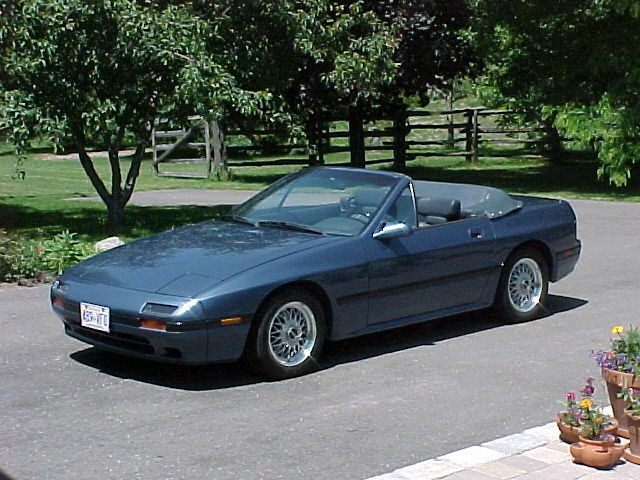 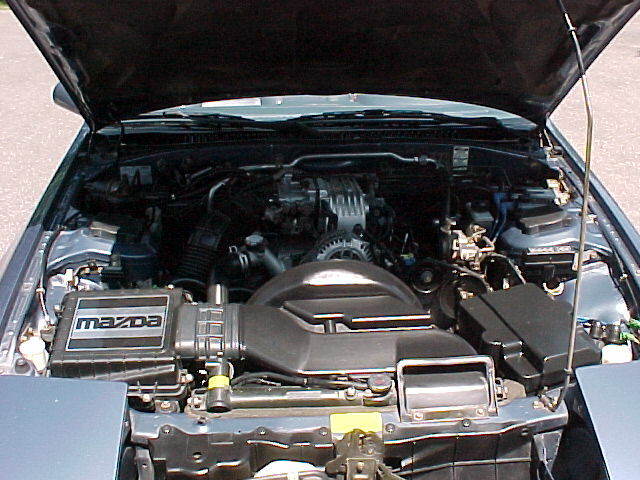 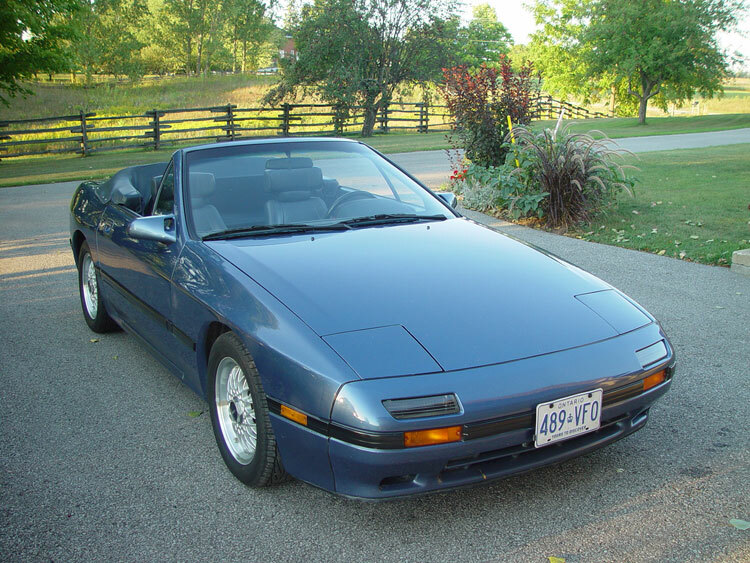 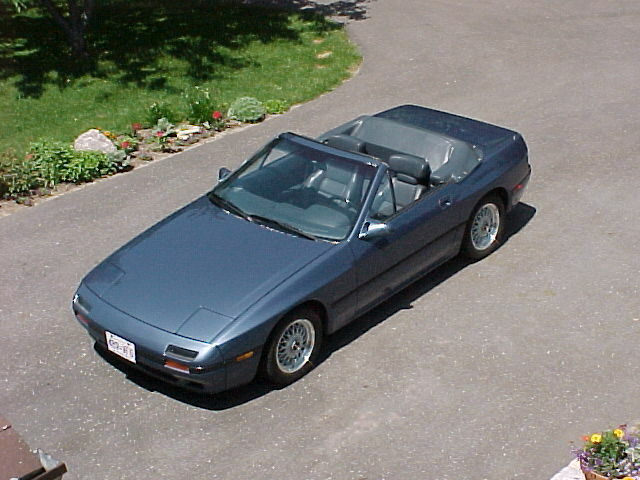 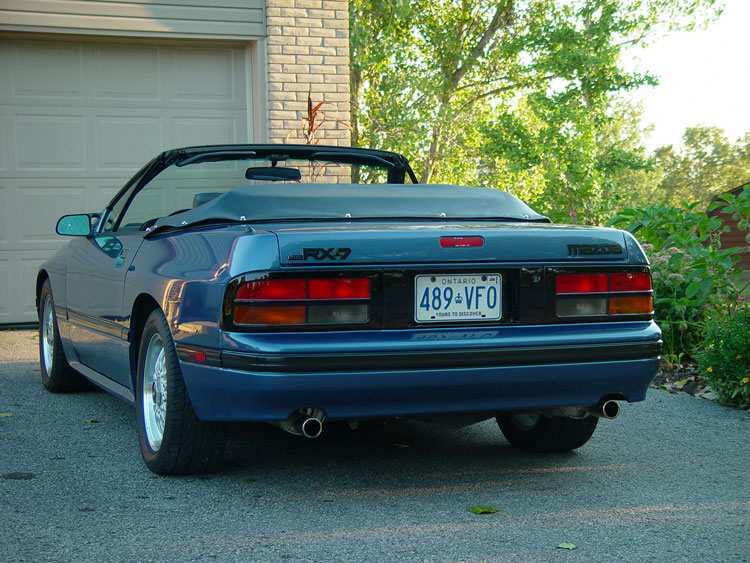 I bought this 1988 RX7 convertible when it was 6 years old, it only had 19k km on it - just like new. 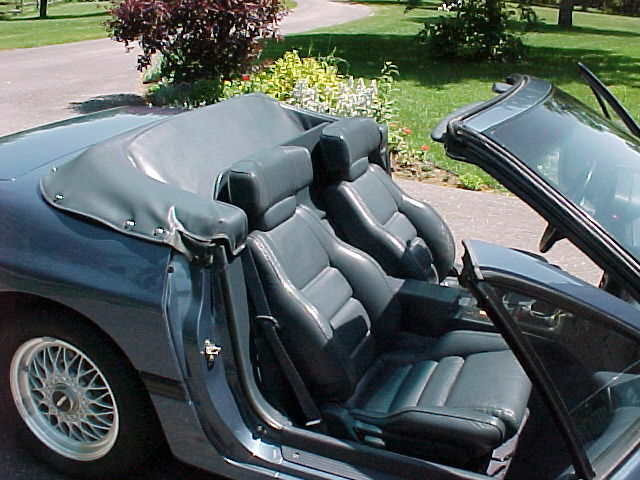 This is probably the coolest car to drive when just tooling around on a sunny day. 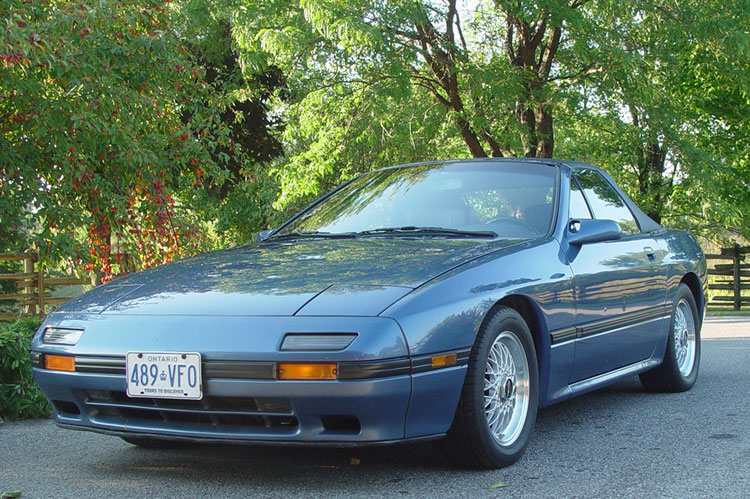 It's got the rotary engine, 5 speed and handles like it's on rails. 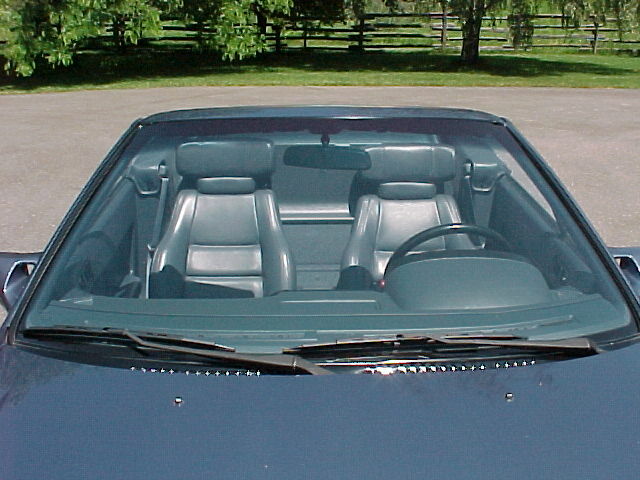 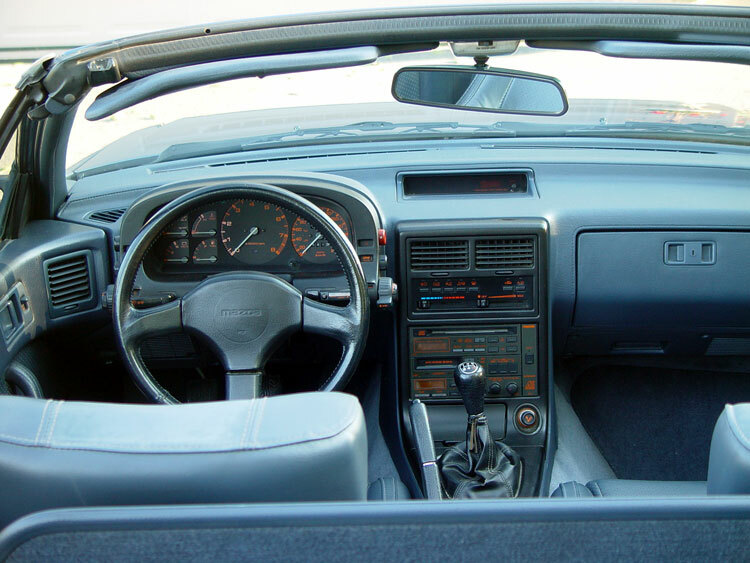 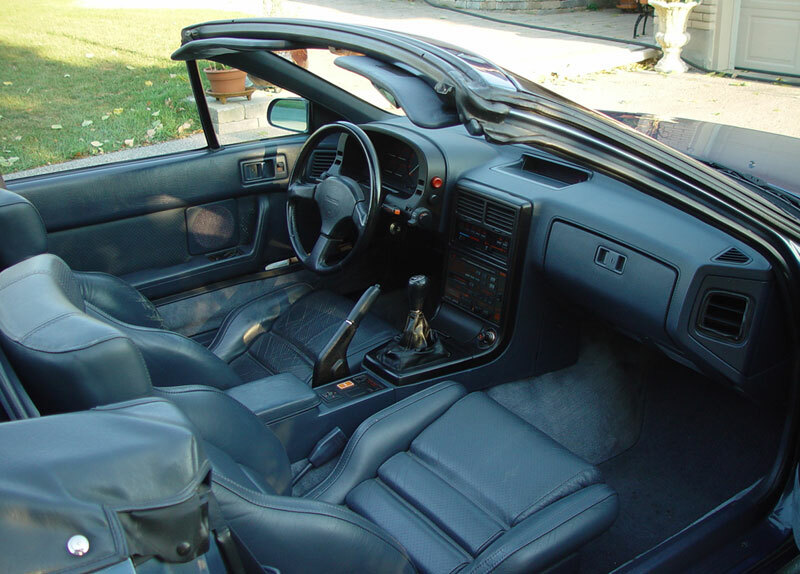 It's equipped with all options, A/C, power top, windows and mirrors, tilt, cruise, glass back window with heated glass, a Pioneer AM/FM/Cassette/CD, leather seats with speakers in the head rests, and BBS wheels. 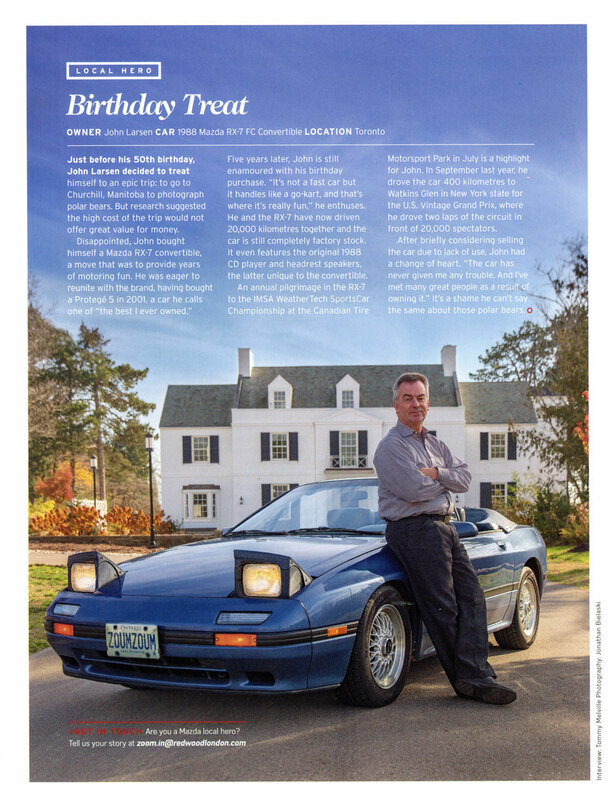 The new owner - now a "Local Hero"